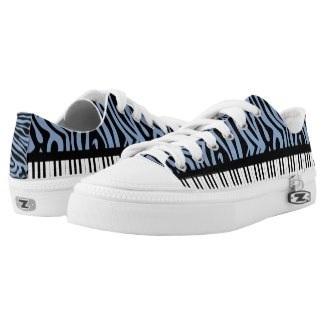 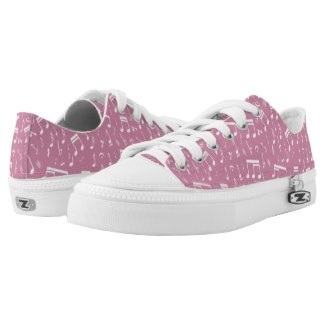 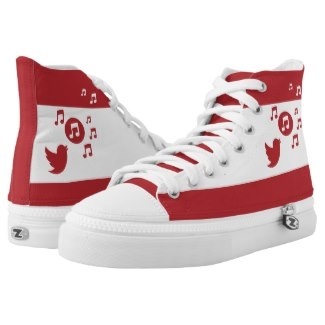 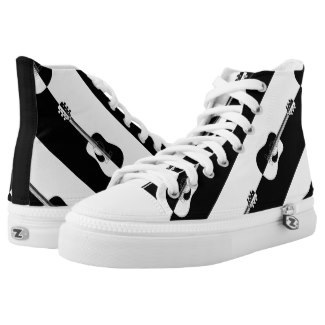 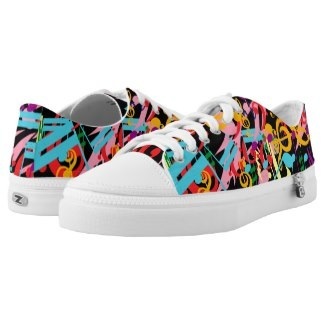 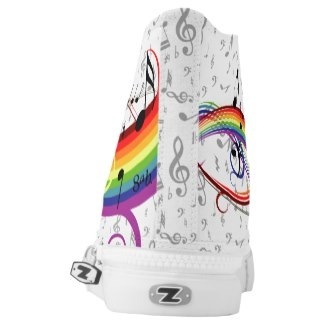 Show your love of music with these exclusive designer Zipz canvas sneakers with music themed designs.Each pair of custom High Top ZIPZ® shoes is designed so that any ZIPZ® top can be matched with a sole of the corresponding size, to match your mood, occasion or wardbrobe. 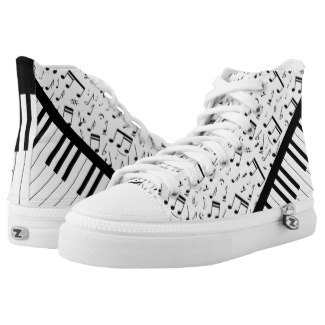 It's not only your voice that can express your love of music . 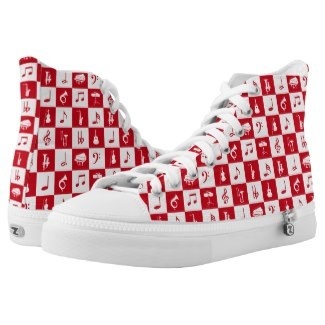 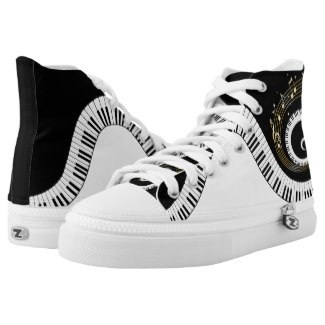 Each pair of these designer music themed canvas high tops and low tops are made to order ensuring excellent workmanship and one of a kind designs. 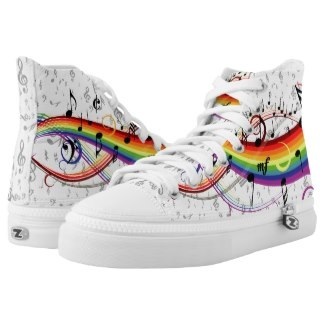 Step out in style with these Black musical notes floating on a rainbow of swirling rainbow colors High top sneakers.